Layers of crêpes, salmon, parsley cream cheese and wholegrain mustard make up these dainty crêpe canapé cubes. We are planning a big dinner party for my Nan's birthday, the final menu is a bit of secret and Nan if you're reading you won't find any spoilers here (nice try). 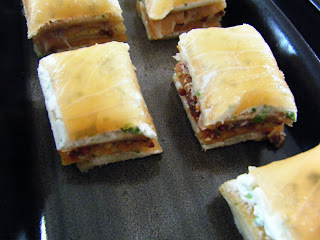 This afternoon I've been playing around with canapés, I've decided these salmon canapés will not be included largely because the salmon is so wafer thin that it dries out very quickly that they really need to be served immediately. Also, despite using a very sharp knife I just couldn't get the clean edges that I really wanted. 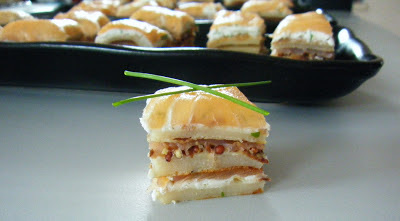 I'm quite enchanted by gorgeous canapés, getting the balance of ingredients for the perfect tiny bite is a mission and then executing something utterly stunning and party portable is an art form. Pinterest has scores of boards dedicated to this, prepare to be blown away. The inspiration for these salmon and cream cheese canapés with wholegrain mustard came from an event I attended at the Great British Library where they served similarly layered crêpe cubes. 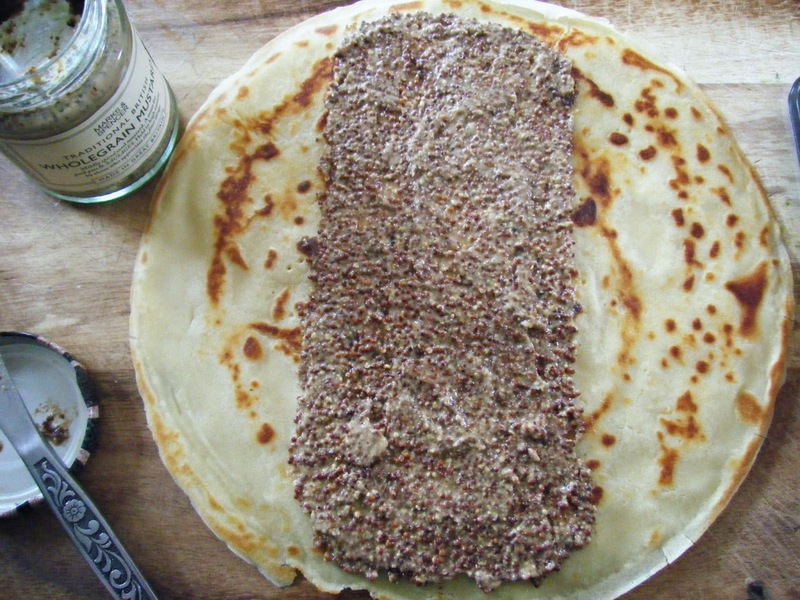 I used Nigella's crêpe recipe and fried two ladles of batter per pancake to make three thick crêpes. 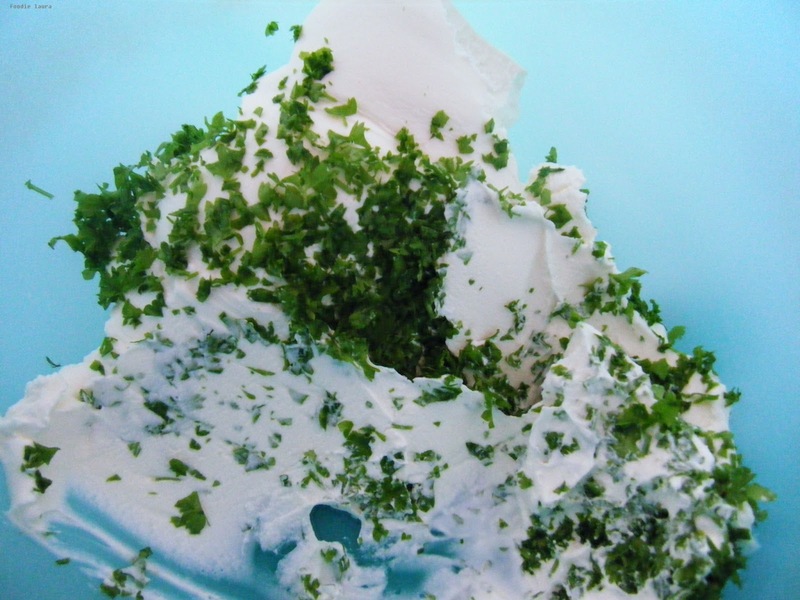 Mix the parsley and cream cheese in a bowl. Make the pancakes and leave them to cool. 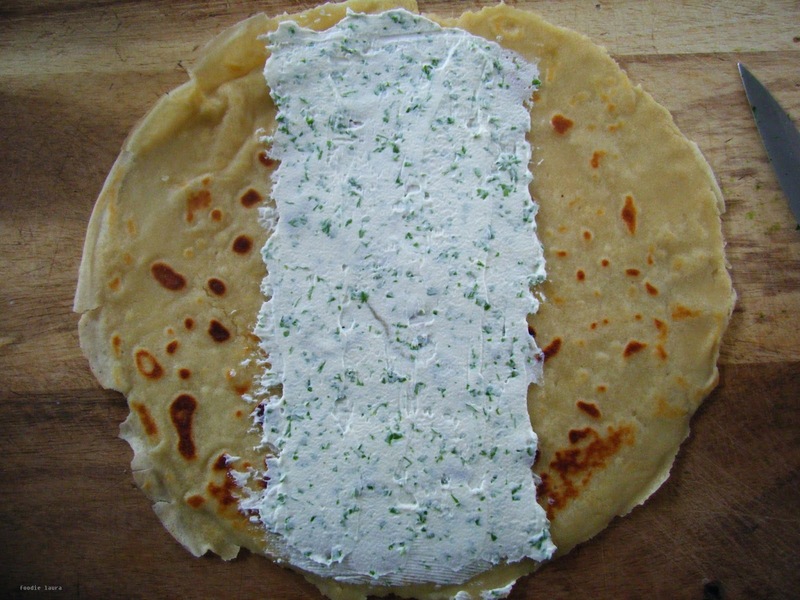 Use two ladles of batter per pancake as these aren't your usual paper thin crêpe, they are going to be layered up and need some substance to take the weight. 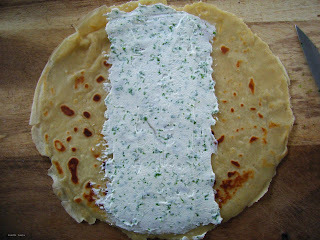 Lay one pancake out flat and spread half of the parsley cream cheese down the centre. To make cutting the cubes simple I only spread the panel in the centre of the crêpe. The edges didn't go to waste, they are a perk for the cook. 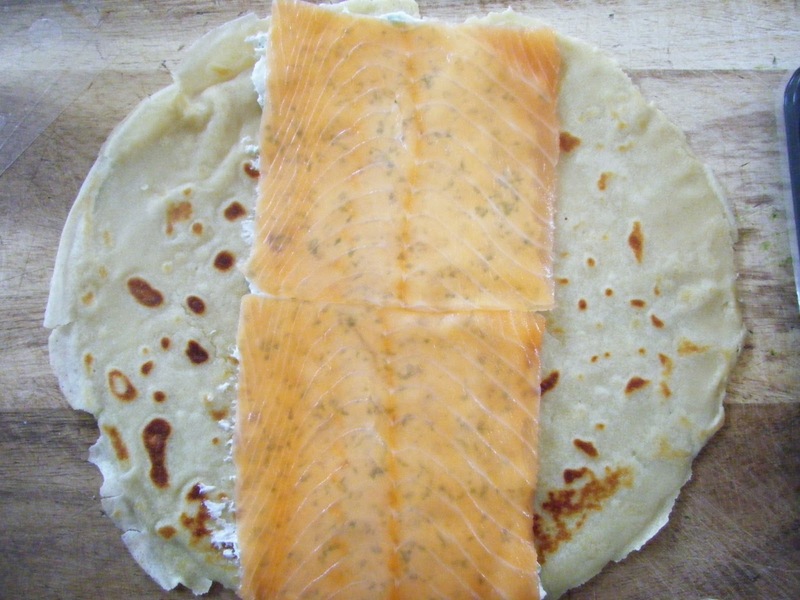 You could spread the whole pancake but as the salmon I was using was square shaped it was just easier to only spread the centre panel. Add the next pancake and spread with the mustard. 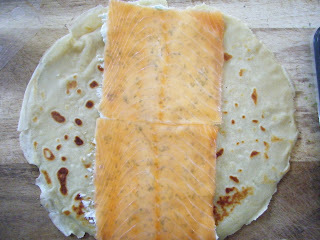 Add the final pancake and repeat a layer of cream cheese then salmon. Using a sharp knife trim of the excess pancake and cut the centre panel into cubes. Use the chives to decorate the top of the cube. 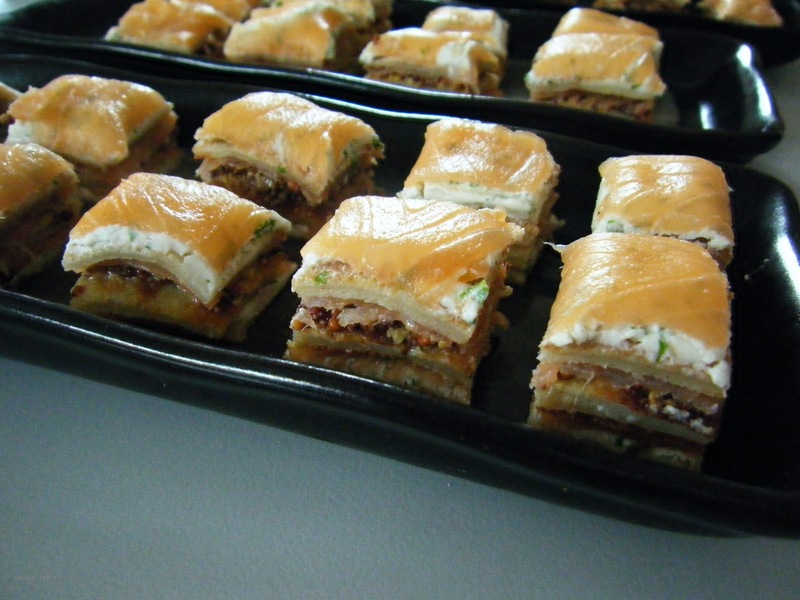 Serve immediately or wrap closely with cling film and refrigerate.